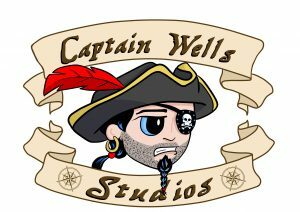 Captain Wells Studios: Tell us a little bit about yourself and your art. 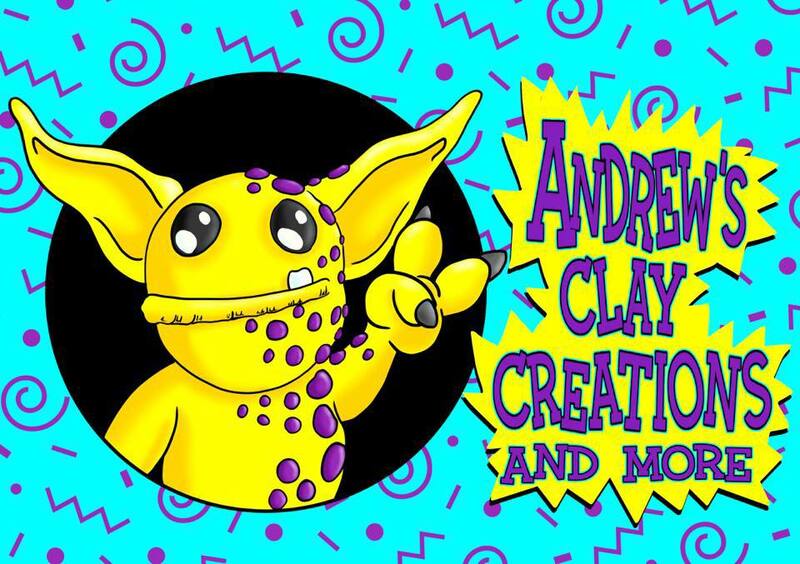 Andrew: I am an artist based in Broken Bow, Ne. 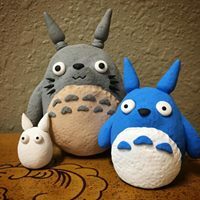 I make sculptures out of Polymer Clay, Worbla, and felted wool. I love comic books, video games, super hero movies, and all things involving giant monsters. I love creating monsters and other creatures, either based on ones from pop culture or something from my mind. 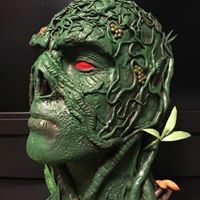 CWS: Currently you sculpt from Polymer Clay, Worbla, and felted wool. What is your preferred material to sculpt with and why? Andrew: I really don’t have a preferred material. 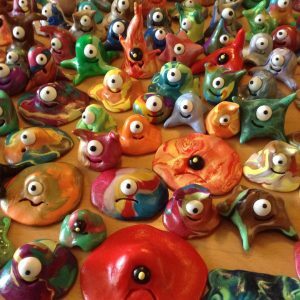 If I sculpt with clay for several hours a day it is really hard on my hands, so I have found that if I switch between the different material it gives my hands a much-needed break. CWS: How long have you been creating? Andrew: I have been into art my whole life, but I have sculpting regularly for the last 7 years. CWS: Why/how did you choose to become a sculptor? 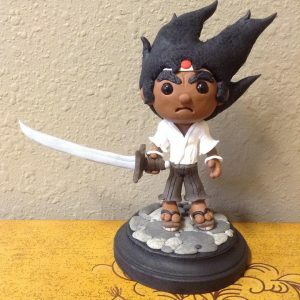 Andrew: My decision to make sculptures instead of 2D was mainly because I thought 3D art seemed easier. I don’t necessarily have to worry about shading something, because lighting will do that for me. I don’t have to worry doing foreshortening, because how I position the sculpture will do that for me. CWS: What’s your motivation when you create? Andrew: Movies, Comics, and mostly other artists motivate me. CWS: What are the links to any websites and/or social media you have? I know you are doing many awesome things ! 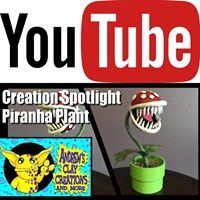 CWS: You said you are focusing a lot on your youtube channel right now, so what can a viewer expect to see on your channel? CWS: What are you working on? Any cool, new things coming up? Andrew: Right now I am working on my first cosplay piece out of Worbla. My next big art project I want to try to make is a life size Mer-Man bust also out of Worbla. CWS: Is there any other material you hope to tackles as a sculpture? Andrew: I did get a 3D Pen this year, and have only had a little bit of time to mess with it. I certainly would like to create some more things with it. CWS: How can fans get your work? Do you display anywhere? Currently I do not display anywhere, but if I do I will let you know. 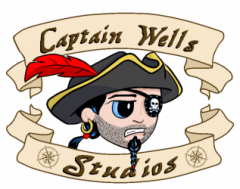 CWS: Where do you see your art/business in 5 years? What is your goal? Andrew: I would like to be able to do this full time. I would love to create my own line of monsters. 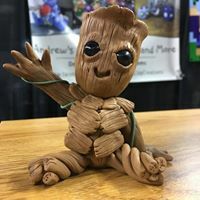 CWS: Do you have any advice for any artist wanted to get into sculpting? Andrew: Like anything else you start, it takes practice, and never be afraid to fail. Also, start with something you love. Too many times I have been asked to make a sculpture, and my heart wasn’t in it. Not only did it make the sculpture less fun to create, it also showed in the end result. If you have any other questions for Andrew reach out to him! What other questions do you want answered as we continue our new series?